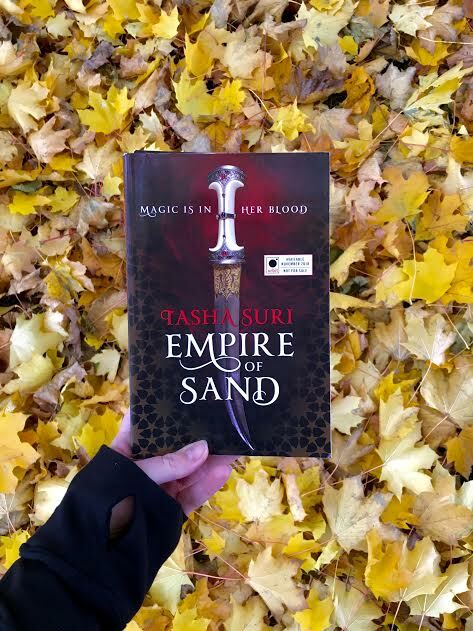 Empire of Sand is the story of Mehr, the illegitimate daughter of a governor who serves the powerful Empire and a woman from a persecuted group of desert-dwelling people called the Amrithi. Growing up in her father’s household after her mother leaves, Mehr struggles to preserve the traditions of the Amrithi even as they are hunted down throughout the Empire. Her life changes rapidly when her actions during a magical storm bring her to the attention of the Empire’s spiritual leader and his mystics, and she is forced to confront harsh truths about the Empire she inhabits and the power she possesses. I love fantasy novels centered around strong female characters, and I was so intrigued about this book when I first heard about it at BookCon. I think that Empire of Sand’s worldbuilding and its magic system are some of its strongest aspects; over the course of the novel, we are introduced to magical, mysterious desert beings called daiva who once walked the earth like humans but who now take on other forms; the magic stemming from dreaming gods; and Amrithi magic created through dance and sigils. Mehr is a protagonist you want to root for in her struggles against a corrupt, discriminating Empire, and I was fascinated by one of the side characters, Mehr’s friend and surrogate mother figure Lalita, an Amrithi woman who survived for years in disguise and supported herself as a courtesan. I also thought that Tasha Suri’s writing was quite good; I was able to easily visualize everything she was talking about, and her writing flowed nicely throughout the book. There were also several aspects of Empire of Sand that I felt weren’t as strong. It’s not very long for a fantasy novel, but its pacing is very slow, and the plot is sparse. A great deal of the book involves repetition; the same concepts and actions are reiterated over and over again, which in my opinion wasn’t necessary to convey meaning and didn’t add anything to the story. I generally don’t mind books that are slower-paced and more focused on ordinary life than action, but in this case the structure really didn’t work for me. I also wasn’t a fan of the romance, which felt forced, and I wish that both protagonists had more charisma. If you’re looking for a new, well-written fantasy series with a unique concept and setting, you may really enjoy Empire of Sand. Personally, it’s not a series I’m planning to continue with, but I’ll definitely be interested to see what Tasha Suri writes in the future. *I received an ARC of Empire of Sand from the publisher at BookCon.